◎ I had/got/enjoyed a nice view from the observatory. 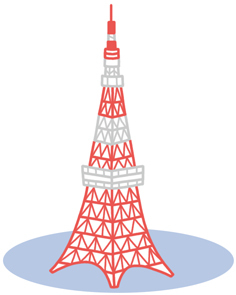 A: I went to the "Tokyo-Tower", and enjoyed a wonderful view. B: Good. Did you see Mt. Fuji? A: No. Unfortunately I couldn't see it. Because it was a little hazy. B: Really. Next time, you should go in winter.